First: Pick a series (any type except TV, Movie, and/or Music). Second: Pick a backup series in case you can't find any criteria based off your first pick (any type except TV, Movie, and/or Music). Third: Complete the criteria using your first pick as the reference. For Example, if you picked the series Howl's Moving Castle, for the criteria "Watch an anime from the same studio..." you'd have to pick a series from Studio Ghibli because that's the studio Howl's Moving Castle is from. Your pick (that you'll be matching to) should already be completed before the start of this challenge. Any type except TV, Movie, and/or Music. Criteria must match between your first pick and the movie you end up watching. Use second pick only if there is nothing available to match your first pick. When it says "same director, script, storyboard, original creator, op/ed artists" does the anime that I'll be watching need to have that person in the same position they had in the picked anime? We'll go ahead and say they don't have to be in the exact same staff-position as long as they're part of the staff of the series you're watching (but the person must be the (for example) director of your picked series). "Starts with the same letter" If I choose a series that starts with a number, do I use the first available letter or that same number? If it starts with a number, the other series you watch needs to start with a number - it does not have to be the exact same number though. Any type except TV, Movies and Music. » Any type allowed except TV, Movie, or Music. » Only use the 2nd pick if nothing matches with the 1st. Rules:Start date is the day you post. Any anime already completed before the start of this challenge are invalid. 1) When it says "same director, script, storyboard, original creator, op/ed artists" does the anime that I'll be watching need to have that person in the same position they had in the picked anime? Hm. We'll go ahead and say they don't have to be in the exact same staff-position as long as they're part of the staff of the series you're watching (but the person must be the (for example) director of your picked series). 2) "Starts with the same letter" If I choose a series that starts with a number, do I use the first available letter or that same number? 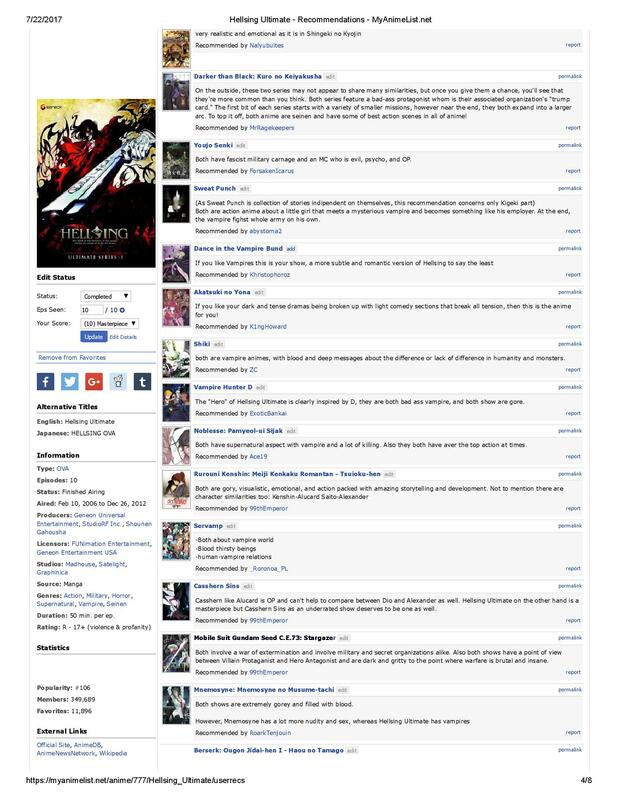 Mayori Sekijima is listed as script/screenplay writer on the Anidb and in the "written by" section on the Wikipedia. 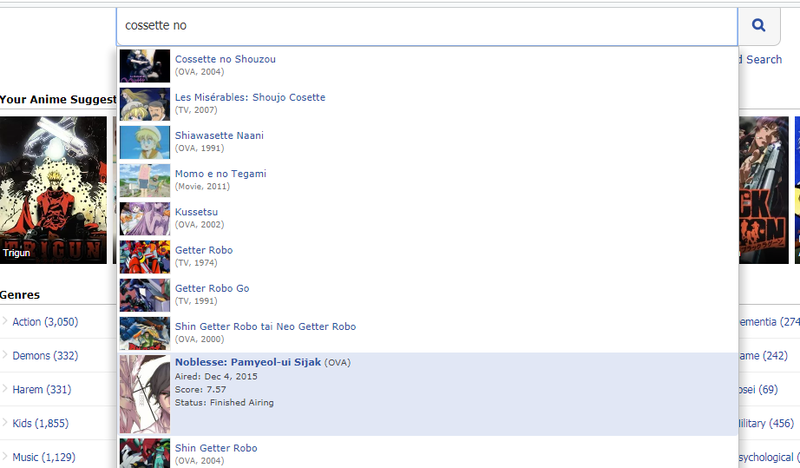 But for some reason nobody is listed as scriptwriter on MAL. Any movies already completed before the start of this challenge are invalid. 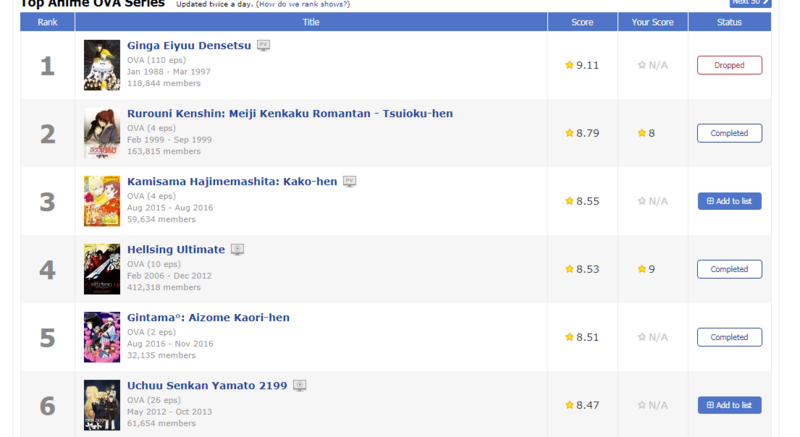 -- [X] Watch an anime with the same score rating of your pick. 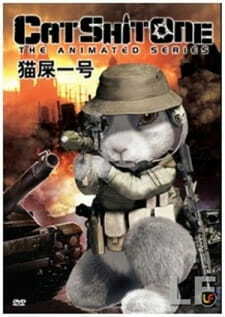 | [7.76] Ranma 1/2 Specials ? 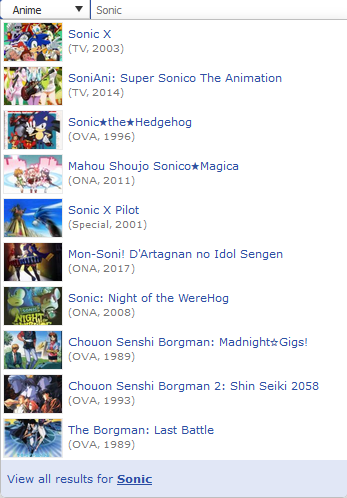 -- [X] Watch one of the recommended anime on your pick's rec. 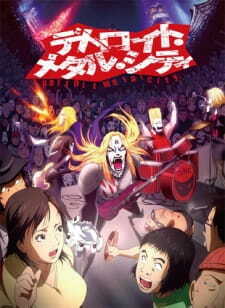 page | Giant Robo the Animation: Chikyuu ga Seishi Suru Hi ? 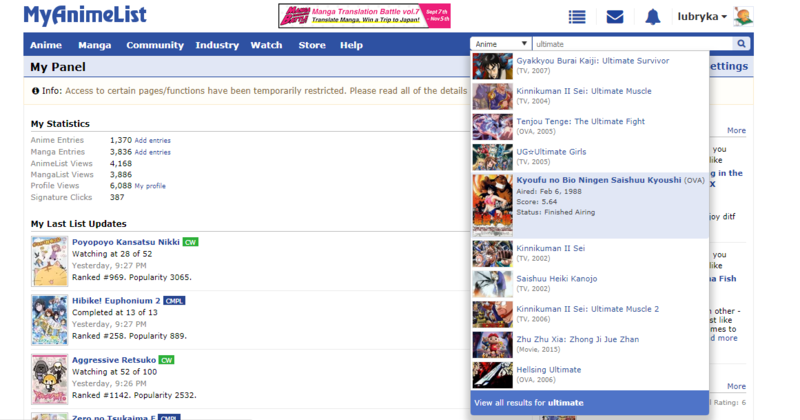 -- [X] Choose an anime from the predictive search using part of the title of your pick | ["OVA"] | Ranma 1/2 OVA ? Expand your horizons using something you like as a starting point. Cannot use previously seen nor previously started series; your post is your starting date. Watch an anime that began airing the same month as your pick ---「 August 」Pokemon: Pikachu no Kirakira Daisousaku! ~ Use second pick only if there is nothing available to match your first pick. ~ Any type except Type:TV, Type:Movie and Type:Music. 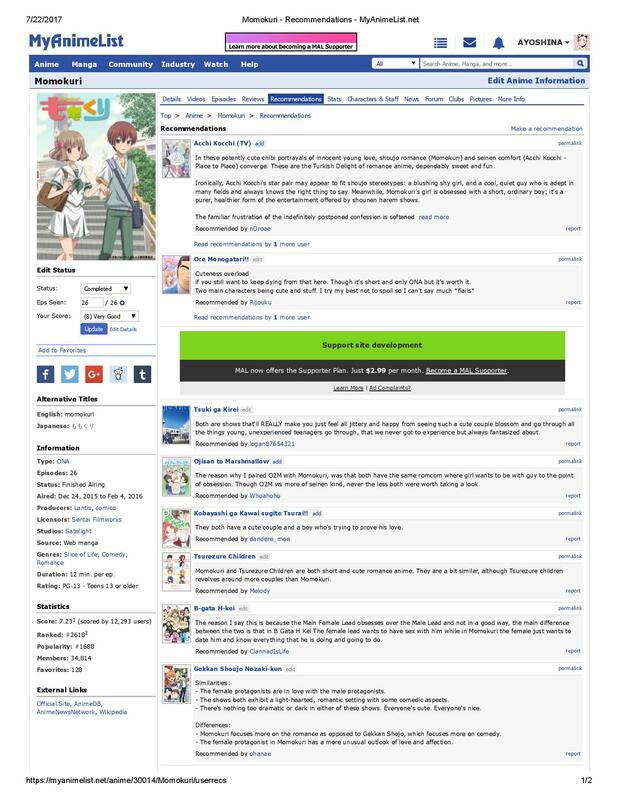 ♦ Watch an anime from the same studio as your pick ♦ Kyoto Animation ♦ K-On! : Live House! ♦ Watch an anime with the same duration as your pick ♦ 24 MIN ♦ Norageki!